Diesel Engine Parts - What Does Break More Often? Diesel Engine Parts – What Does Break More Often? Like with any vehicle, if your ride has a diesel engine it can be susceptible to break down over time. This is the case if you do not do the necessary maintenance on it like changing the oil regularly. Over time, parts may also break down to excessive wear. The diesel engine parts you will most often have to replace are the oil, water and fuel filters. Additionally, parts like your fuel injection system can break down more easily if you don’t properly maintain it. When you have to repair your engine here are some tips to help you in this process. For one, your course of action will be predicated on what the problem is. If your diesel fuel system has a problem it can be easier to fix than say rebuilding the entire engine whereas if you have to do an entire rebuild, you may be tempted to consult diesel engine rebuilders. One of the reasons for this is due to the advanced technology these engines have. While gasoline engines do have sophisticated equipment, diesel engine parts last longer due to their construction, as they can withstand normal driving conditions easier. As such, it makes repairing these much trickier. A big factor in repairing your engine will be engine rebuild cost, as this can vary wildly depending on if you do it yourself or hire a mechanic. Ideally, it would be best if you can do the replacement, as it can save you a substantial sum of money that would go to labor costs with a mechanic. To accomplish this, you’ll need the correct diesel engine parts. To do an overhaul, it’s ideal to shop for diesel engine rebuild kits, as they have all the components needed for the project. You can find these at many auto retailers. Just be sure they come with a warranty just in case any problems arise. Ultimately, the best way to protect your diesel engine parts is to do regular maintenance and inspections. This will ensure your components are running in peak condition and can help you spot trouble signs early before they affect other systems. 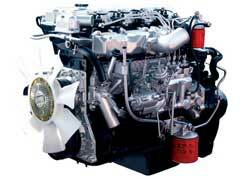 By doing this you can also save much money, as repairing diesel engines can be very expensive.